How does Meditation Cure Depression? People have been questioning about this whether meditation cure depression in any way or it is just a myth or a false belief? There have been various studies that have been conducted regarding this.Depression has become so common these days that every second or third person is having it. But only a few get to work on it and cure depression. Most of them do not know how to get themselves away from this. Out of 8 billion people across the world, there are almost 350 million people who are affected by depression. Depression is not a disease that would affect only a part of the body. It is actually a mental illness or mental condition in which the mind gets disturbed. Depression affects the whole life and the entire living. It could be from eating to sleeping, relationships to work and everything else. There would be mood swings more often. The symptoms of depression might differ from the level of the severity the particular person holds. The treatments also depend on the condition of the person who is suffering from depression. But generally, depressions are treated by either a therapy or drugs. Majority of the researchers that include the treatment for depression has suggested that depression can be cured by meditation. There are various factors like the psychological, biological and the sociological conditions that are responsible for this so complicated diseases. Meditation cure depression in many ways. It does not help to cure depression but at the end, it makes the person a more confident one who is well focussed in life. There have various researches done by scholars and scientists and have got a result that meditation could help depression and it was stated that meditation is a modern medicine. This research was done in the year 2007 by the University Of Giessen, Germany. 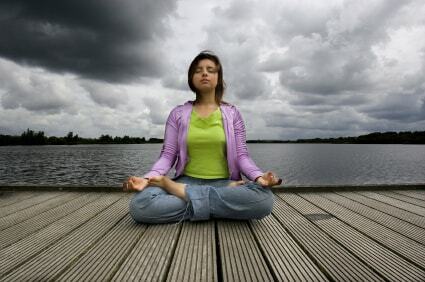 There are hundreds of people who have a happy story and they have all tried meditation for curing depression. Some have worked on it for years and some have still been doing it and they say, it really makes a difference. A constant feeling of being tensed and sad and getting irritated with everything. Minimal or no interest in doing anything. No interest in any hobbies that you loved doing before. No activity but still feeling tired and lethargic. A significant weight loss or gain. There would also be a change in appetite. You would not be feeling hungry at all or you would be feeling hungry more often than you felt before. Sleeping too much or sleeping very less. There would also be a change in the sleeping pattern. You might stay awake in most part of the day or sleep late and wake early or wake very late. Negative thoughts surrounding you for everything you see and do. You might also get thoughts of suicide and harming self-etc. Feeling low or no confidence and low self-esteem. Decreased concentration level and you would not be able to decide anything on your own though you were a good decision maker before. Having no hope and trust in life that falls in the future. Meditation does not require any skill or an expert. It is a therapy that would help you to get connected to yourself and find what you are looking for. It helps you to resolve the issues that have been running anonymously in your mind for quite some time. Mediation helps you to concentrate on the thing that you need and that are important to you. You might get a crowd of voices shouting at you in your mind and you will have no idea whose voices are they and what they are telling to you. But meditation would help you to calm your mind and let the crowd of voices in your mind stop shouting and it will make you relax and calm yourself. You will get into the world of silence wherein you will connect and link your mind to only yourself and nature. You breathe in and breathe out and concentrate on your body and your surrounding without even seeing it. Eventually, you will start feeling better and better and with days, you will have your confidence level raised. Not just that, you will have no room for the pessimistic thoughts that once lived in hundreds and had occupied the majority part of your brain. You will start to look at your life with a fresh mind and thought. The nerves in the brain and the hippocampus part that is responsible for various activities like concentration and memory would all change. You will find a huge difference in yourself and your thinking. It will reflect on your behavior too and you will no longer have to close up yourself in a dark room and cry for no reason because of depression. Meditation cure depression and this has been evaluated and tries by hundreds of people in the world. Since it does not include any medication or side effects, one who is suffering from depression can try this and see the result. Who knows you might also have a happy story in a couple of weeks or so?